Museum on the Move: Cleaned Up and Ready to Go! -- So, the interior of the trailer needed a bit more work than we had initially thought. But it is done, clean, slick, shiny, and empty. Now, students are transitioning their research into text panels and are putting their analytical and interpretive skills to the test. Museum on the Move – Building upon his innovative approaches to teaching and practicing Public History, Carriker conceptualized the exceptional project called Museum on the Move. Students outfit a vintage Airstream trailer with an interpretive exhibit that will then hit the road to take history directly out of the classroom and to the public. Exhibits will be created on a rotating basis where the students’ work will be on display. 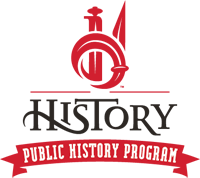 The Public History Program at UL Lafayette's innovative approach can also be seen in the History on the Move program and our participation in the Curatescape project with Acadiana Historical. Carriker's path-breaking domestic study-travel program! We take students to the places where public history is happening: from Alaska to Montana and Arizona to Washington, D.C.! We're mobile! 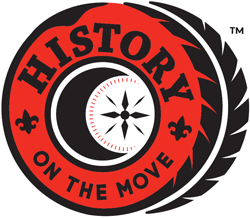 Acadiana Historical is an initiative of Dr. Carriker at the University of Louisiana at Lafayette to tell the stories that define our region's unique culture and history on a mobile app that includes an engaging geographical interface. R. Carriker - UL Lafayette -. Simple theme. Powered by Blogger.